It’s not easy getting enough omega 3s in your diet. Fish contains the highest amounts and we should be consuming at least three 4-oz. 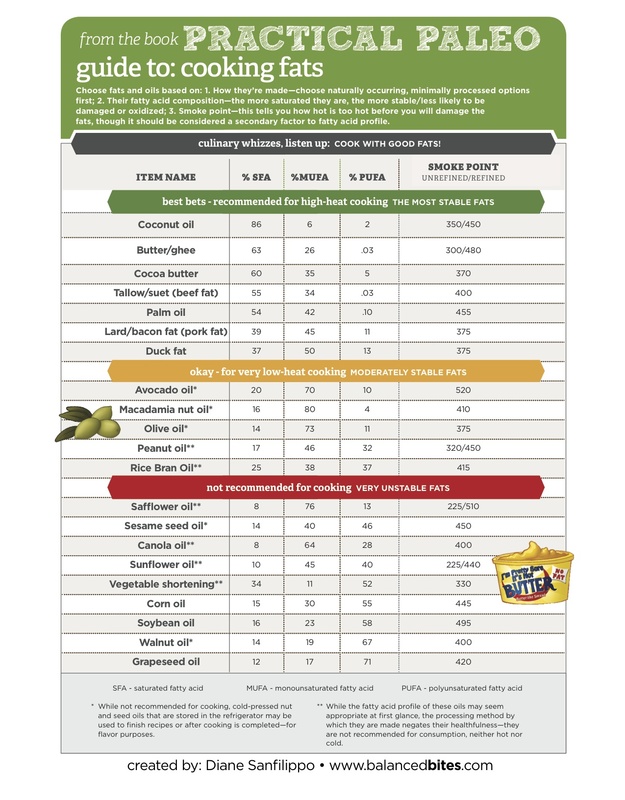 portions of oily fish per week. That’s a lot of fish! 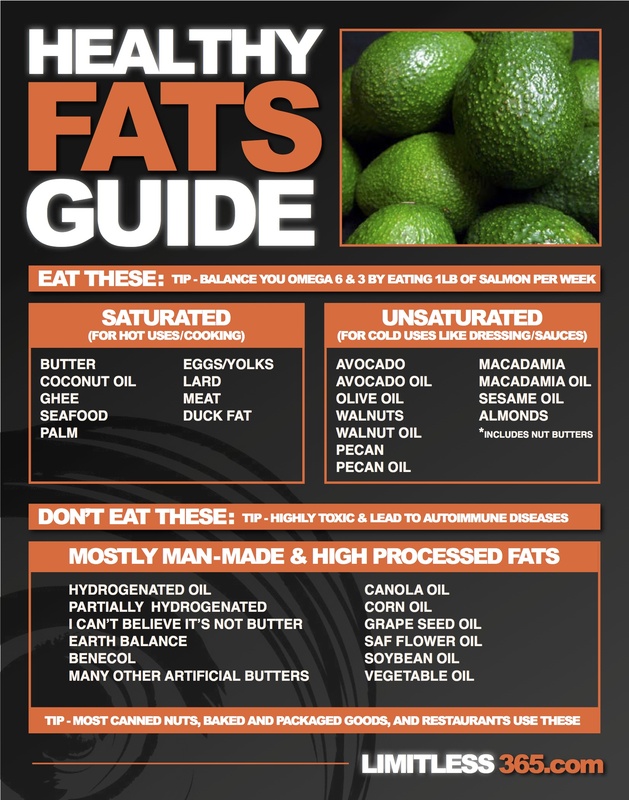 If we want to keep our omega 3 to omega 6 ratio balanced though, there is no easier way to do it. I wrote about the importance of this balancing act for combating inflammation in a previous article. 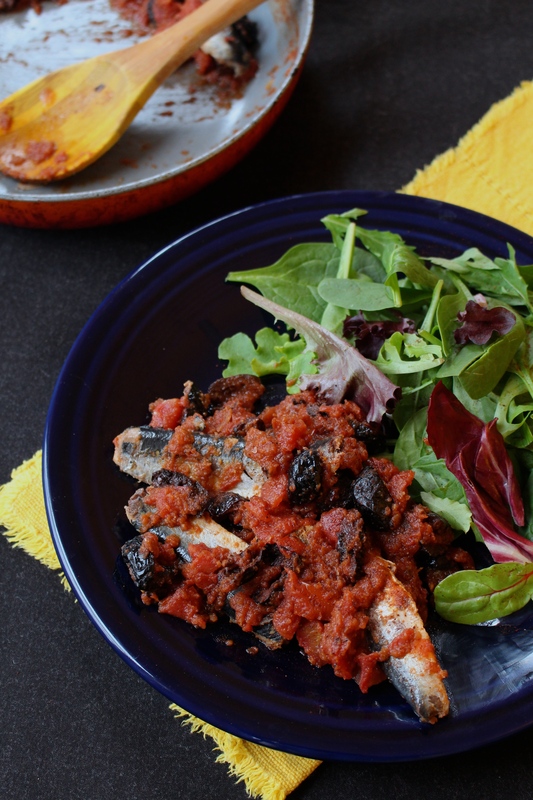 Goodbye inflammation, hello sardines! 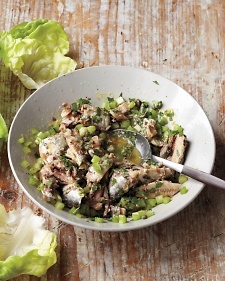 Sardines contain more omega 3s than almost any other fish. These tiny fish pack in the nutrition. One of the very few natural sources of vitamin D, high in vitamin B12, selenium, calcium, Coenzyme Q10, iron, taurine, and protein, sardines are proven to aid in a healthy body. They’re been shown to reduce the risk of coronary heart disease, alleviate arthritis symptoms, slow the growth rates of cancer cells, and even help battle depression. Pregnant women should up their intake during the later stages of pregnancy. An increase in omega 3s is required for fetal brain and central nervous system growth. Little fish equals big benefits. Mercury risk is much less of a concern too. Their small size and short life spans prevent them from accumulating high levels of mercury. When I mention sardines, I watch as friends scrunch up their nose in auto response. I ate them all the time as a kid. Granted, as I’ve mentioned before I had quite the palate for a five year old. I refused the kid’s menu and would beg my parents for raw oysters. So naturally sardines were a favorite. The only thing I loved more was canned smoked oysters. Y.U.M. Now I know, they’re not in most people’s palate, so I put together a list of delicious recipes for entry-level sardine eating. Even if you have to get out the old school clothes pin for your nose, do it. Your body is thanking you already. 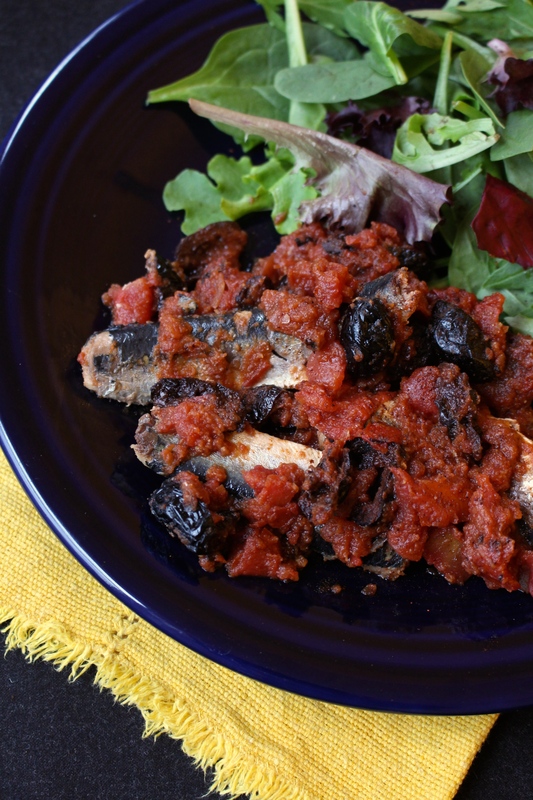 You can easily mask the fishy flavor by covering them in sauce or mashing them into a salad dressing. 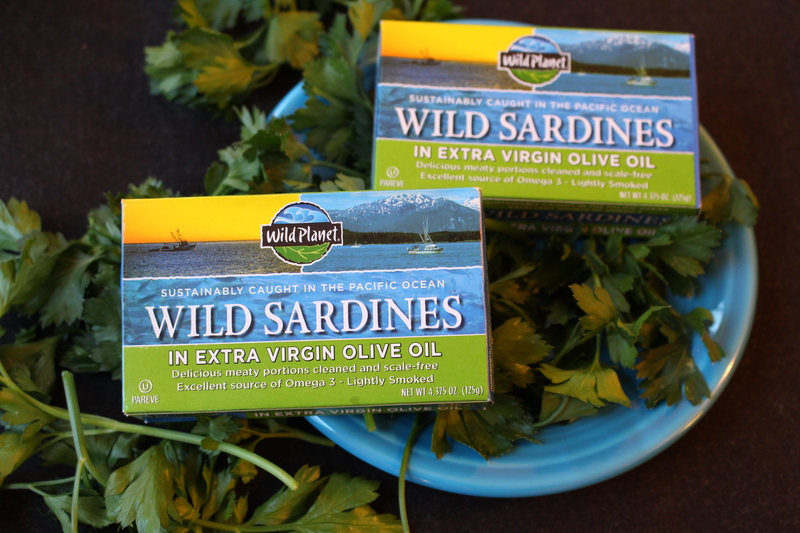 I eat Wild Planet Sardines in Extra Virgin Olive Oil. All of Wild Planet’s seafood is sustainably sourced and is approved by the Monterey Bay Aquarium Seafood Watch® Program. For sardines, they only source them from the Pacific Ocean, specifically near California and Japan. Ones from the Atlantic are now at risk from over-fishing. Since sardines grow to reproductive maturity in 1 to 2 years, they are less at risk of over-fishing than the larger game such as tuna, which does not mature until 8 years. ►Saute onion and garlic in coconut oil over medium heat for 3 minutes until onions become translucent. Reduce heat to low and stir in tomatoes, all spices and black olives. Saute together for 5 minutes. ►Gently place the sardines in the pan. Scoop up the sauce and pour over each fish. Only cook 1 or 2 minutes then serve immediately. Make sure to remove the boy leaf before eating! ►Serve with salad greens and top with a drizzle of olive oil.